A sparkling pink, handbag-sized journal for hot gossip and glam style secrets. It’s covered all over in funky lipsticks and handbags, and stunning sparkly glitter. Tell it your ambitions. Confide the names of your crushes. 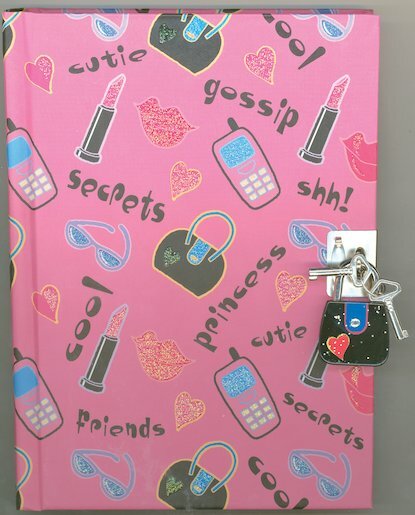 Write all your secrets in it. Just don’t keep them all to yourself!